Fairway Custom Homes and Renovations, LLC is a full-service, custom home builder and renovation expert of distinction located in Fredericksburg, Virginia. We are currently building new custom homes in Fawn Lake, Lake of the Woods, and other locations in the surrounding area. Our luxury homes excel in architectural design fused with thoughtful functionality and modern design concepts. Every new, custom home is beautifully adorned, and includes numerous elegant amenities considered by many others as upgrades. We provide excellent quality at a highly competitive price as well as personalized customer service. From estate homes to golf course homes, we can design and build your new home to your specifications. 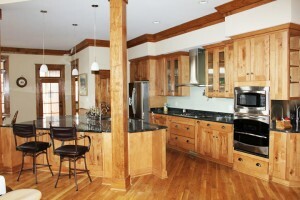 At Fairway Custom Homes, we specialize in the creation of luxury custom homes built to your specifications. 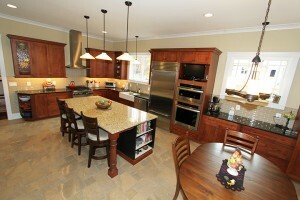 We take great pride in offering innovative home designs that inspire our customers. We work with skilled, local draftspersons and architects who can design your very own home plan. Because we build just a small number of homes each year, we are able to maintain extraordinarily high standards of construction and customer service. Thank you for visiting today and taking time to learn more about Fairway Custom Homes. We would value the opportunity to turn your dream of a new home into reality. Please contact us to introduce yourself. Our staff strives for total customer satisfaction. From a home’s very beginning stages to its completion, our team manages all details in the building process to ensure quality, on-time workmanship. But most importantly, we listen to you, the client, to ensure your vision of a home becomes reality.